Enjoy every breath as if it's your last. 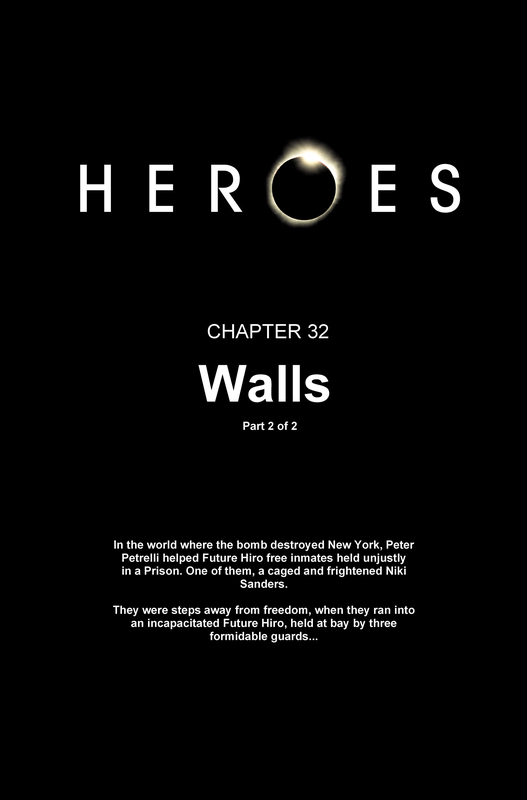 In the world where the bomb destroyed New York, Future Peter helped Future Hiro free inmates held unjustly in a prison. One of them, a caged and frightened Niki Sanders. 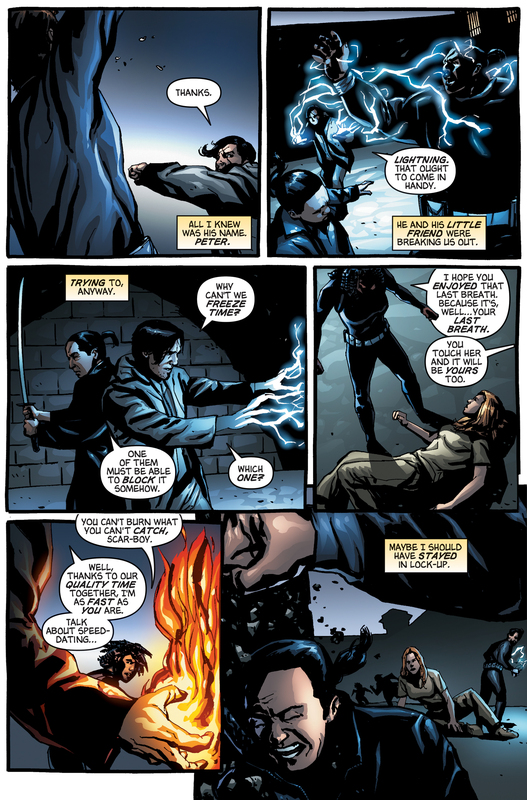 At Moab Federal Penitentiary, Peter Petrelli and Niki Sanders come to Future Hiro's aid as he struggles against three evolved human guards, one of whom is somehow able to prevent Peter and Hiro from freezing time. 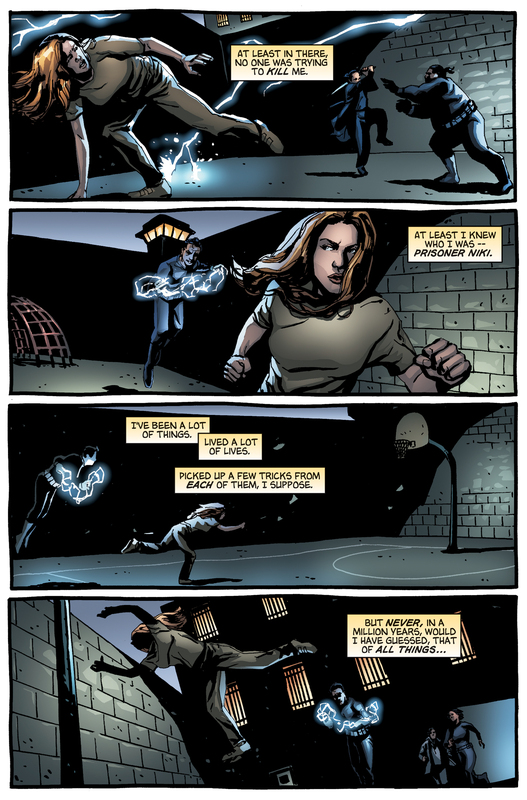 Peter duplicates one of the DHS agent's lightning abilities and attacks the largest agent with it. 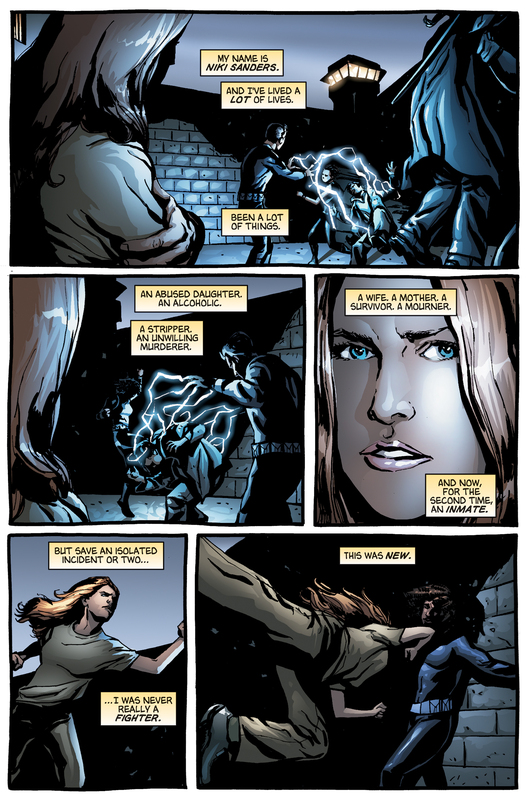 He summons fire and uses it against an agent with super speed, duplicating her speed to catch her. 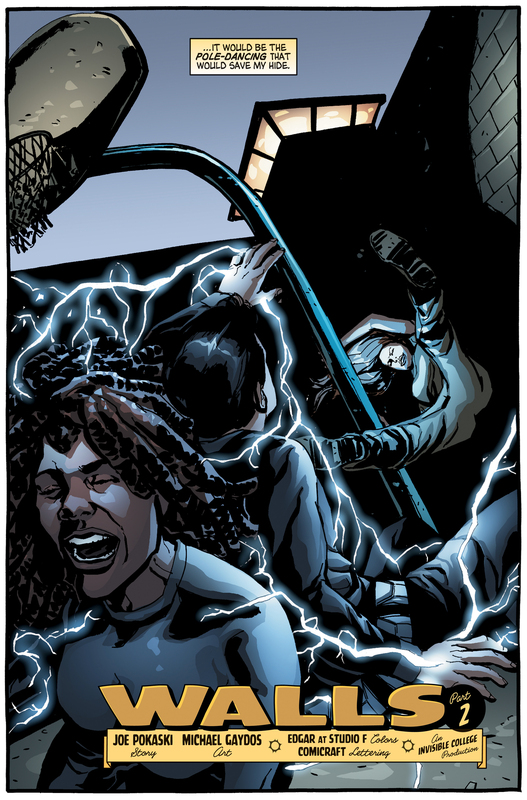 Niki, using a pole-dancing move, knocks the lightning-wielding guard into the speedster, and the guards are subdued. 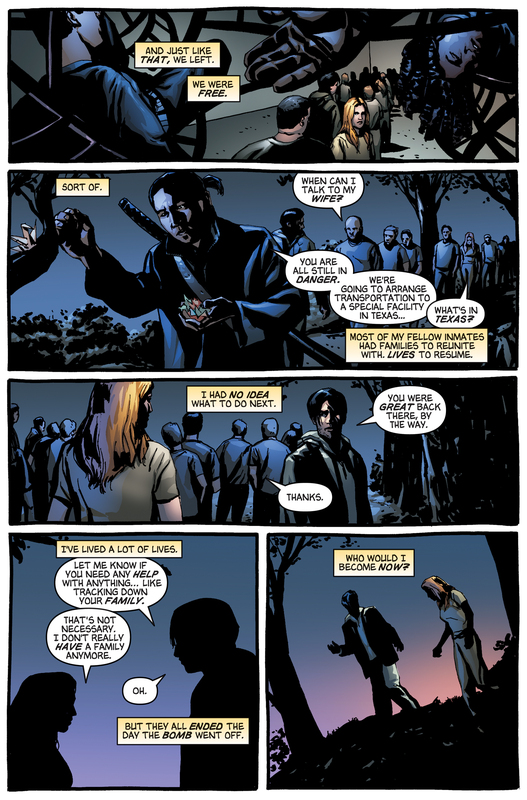 As Hiro and Peter lead the freed prisoners to safety along Hiro's trail of origami cranes, Hiro explains that he'll be sending them to a special facility in Texas. Peter compliments Niki on her work battling the guards, and asks if he can help her track down her family. She explains that she no longer has one. "You can't burn what you can't catch, scar-boy." "Well, thanks to our quality time together, I'm as fast as you are. Talk about speed dating..."
The entirety of Walls, Part 2 was included in Novel Approach: The Hiro Collection. For images from Walls, Part 2, see images from Walls, Part 2. For the transcript from Walls, Part 2, see the Walls, Part 2 transcript. This page was last modified on 22 October 2015, at 18:55.